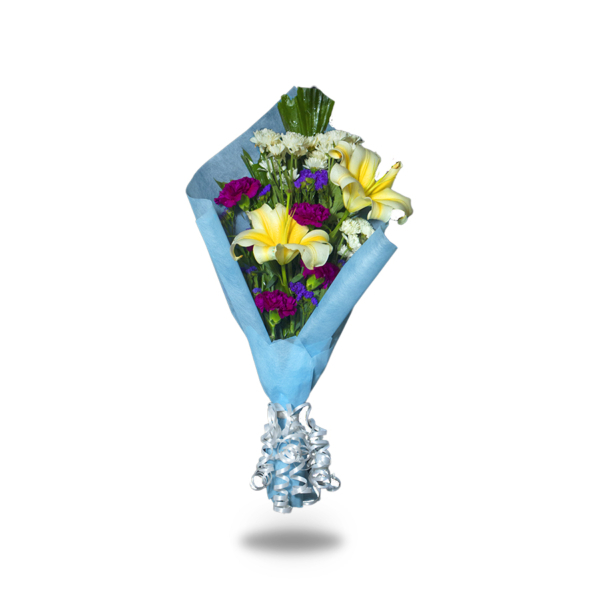 Flowers are always magical, just like a unicorn! Especially this chic mix of florals! “Magical like a Unicorn”, upon its arrival, will bring anyone to the land of magic and wonder. A little magic is always wanted. 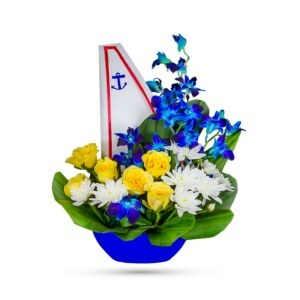 A deluxe mix of fresh yellow lilies, purple carnations, violet/blue/purple statice and white chrysanthemums are accented with decorative greens and arranged in a style evoking hand-tied blue/dark blue paper with white frills. 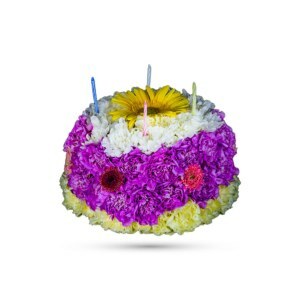 Shower someone warmth and gratitude on their birthday, mother’s day or even housewarmings. 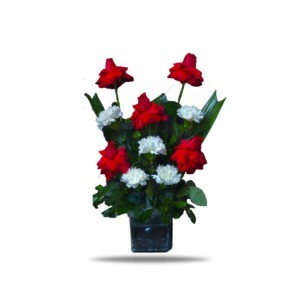 You can order this lovely bouquet today on our website and get it delivered at the doorstep. 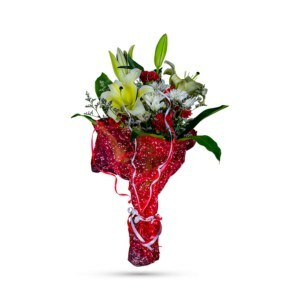 Frills are never out of style, as well as magic and our evergreen bouquet – Magical like a Unicorn.